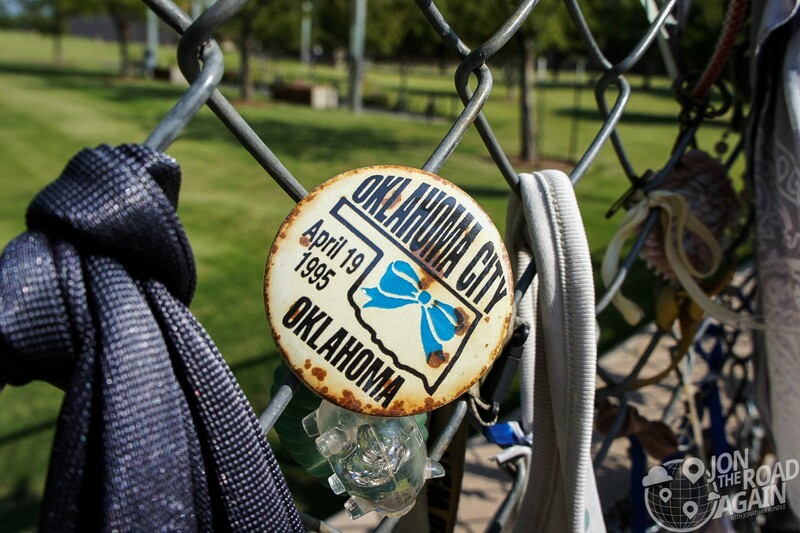 On April 19, 1995 the entire country was rocked by an explosion from our heartland. I have to fight the urge to make this site a regurgitation of Wikipedia, but there is an obligation to talk about the reason for this park’s being. 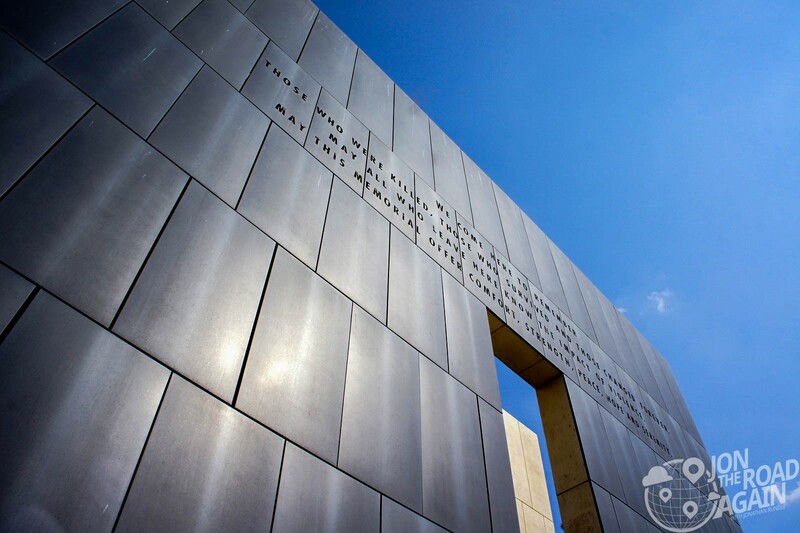 The bombing was the largest terrorist attack on US soil until the tragic events of 9/11. 168 people lost their lives in the bombing. 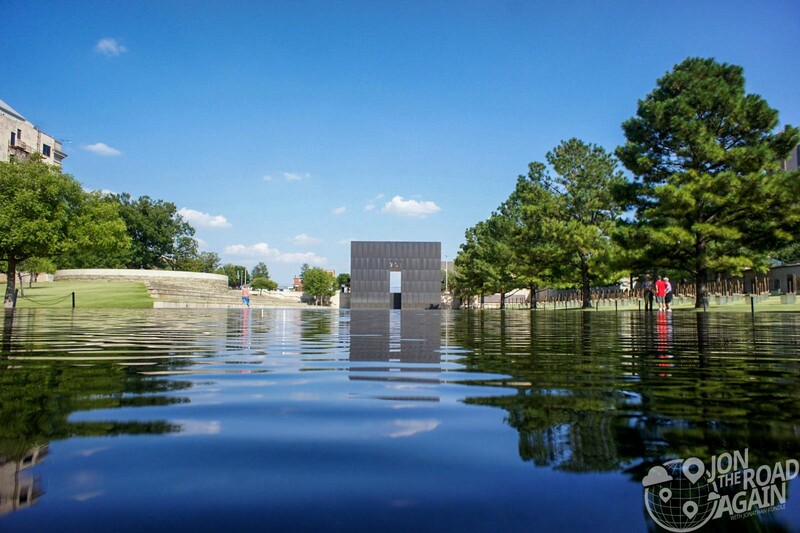 The Oklahoma City National Memorial was dedicated on the 5-year anniversary of the bombing. 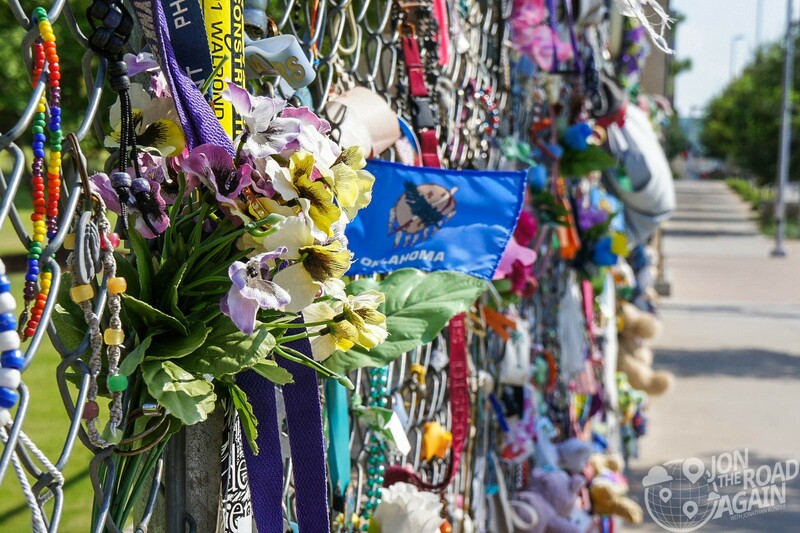 The first thing you’ll notice as you approach the site is the assortment of items left on a chain-link fence at the site as a tribute to those lost. 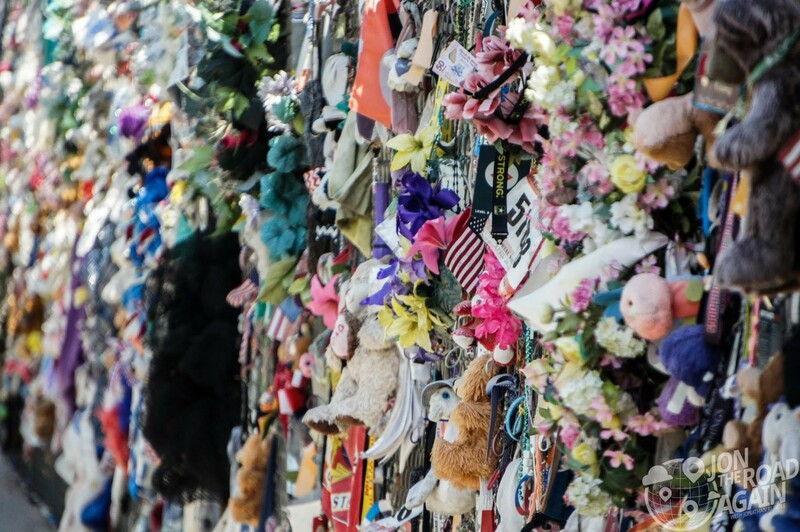 Everything from memorials to a specific person, a teddy bear that’s been there since 1995 and items from across the earth showing solidarity in thought or prayer. 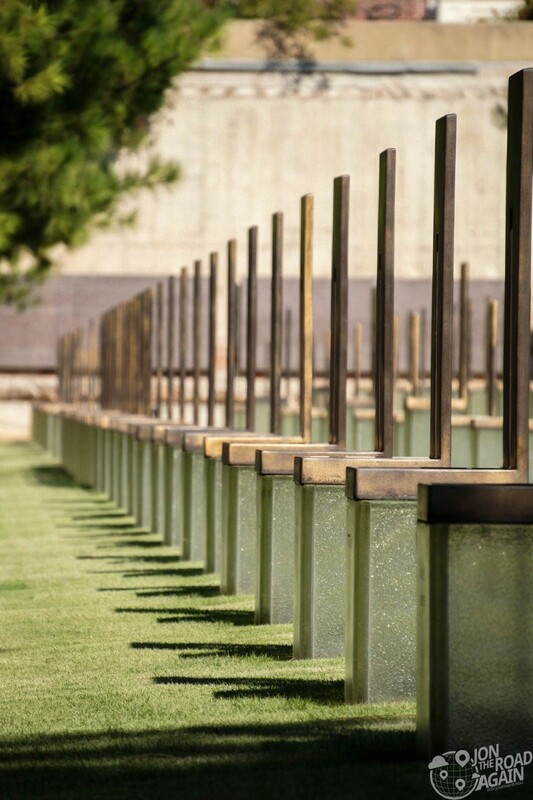 The memorial’s two entrances are called “The Gates of Time.” The twin bronze gates frame the moment of destruction – 9:02 – and mark the formal entrances to the Outdoor Memorial. 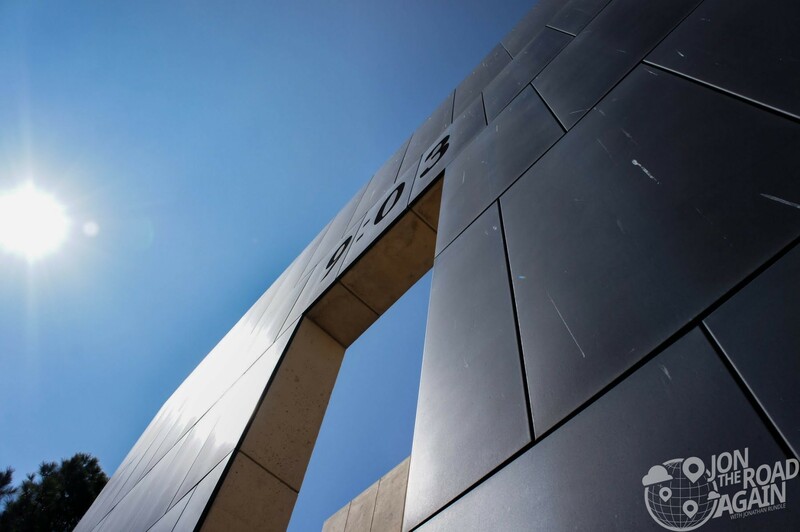 9:01, found on the eastern gate, represents the last moments of peace, while its opposite on the western gate, 9:03, represents the first moments of recovery. 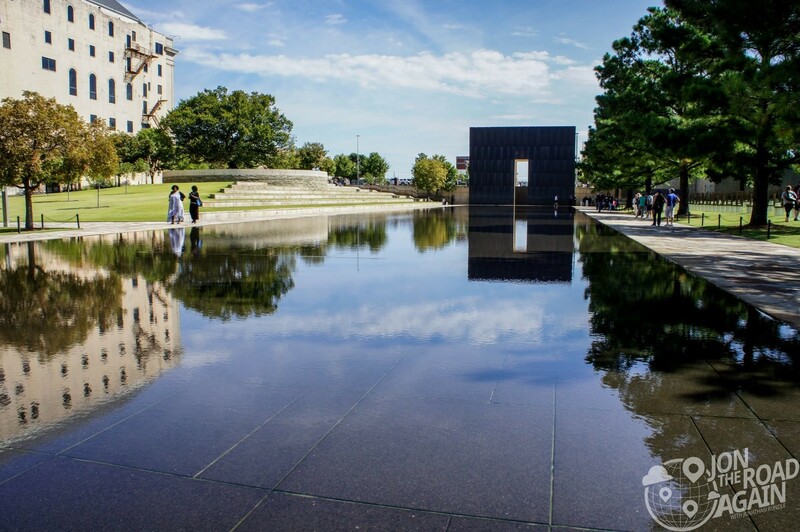 Both time stamps are inscribed on the interior of the monument, facing each other and the Reflecting Pool. To the east, the “Field of Empty Chairs” is where the tragedy begins to hit home. 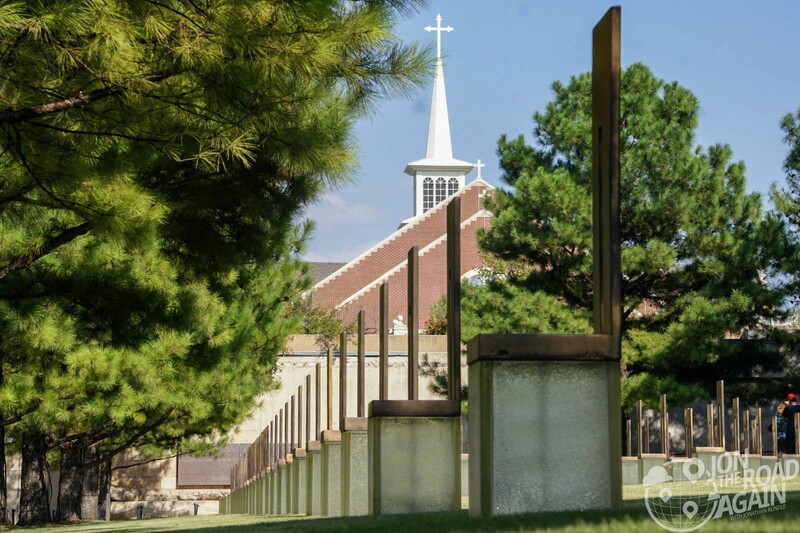 Hand-crafted from glass, bronze, and stone the chairs represent those who lost their lives, with a name etched in the glass base of each. The chairs are arranged in nine rows to symbolize the nine floors of the building; each person’s chair is on the row (or the floor) on which the person worked or was located when the bomb went off. The 19 smaller chairs represent the children killed in the bombing. 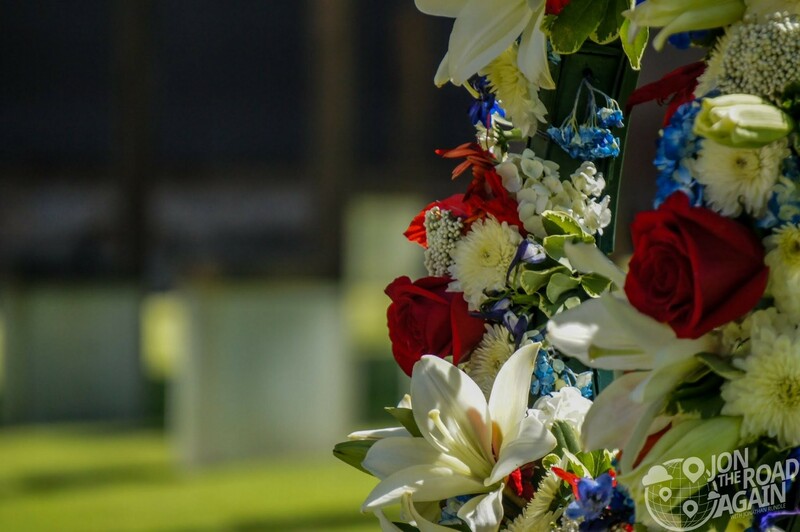 Three unborn children died along with their mothers, and they are listed on their mothers’ chairs beneath their mothers’ names. 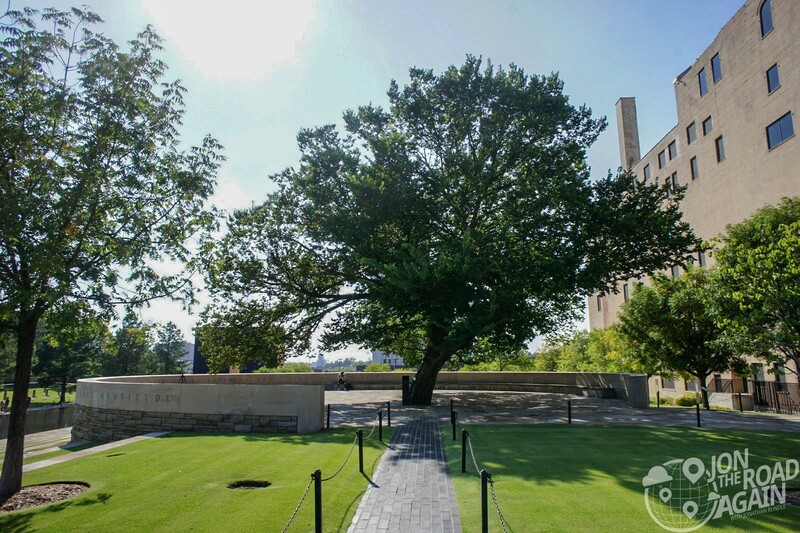 The Survivor Tree is an American elm on the north side of the Memorial. Photos of Oklahoma City taken in the 1920s show the tree to be about 100 years old. The tree was taken for granted prior to the blast. Heavily damaged by the bomb, the tree survived after nearly being chopped down during the initial investigation, when workers wanted to recover evidence hanging in its branches and embedded in its bark. 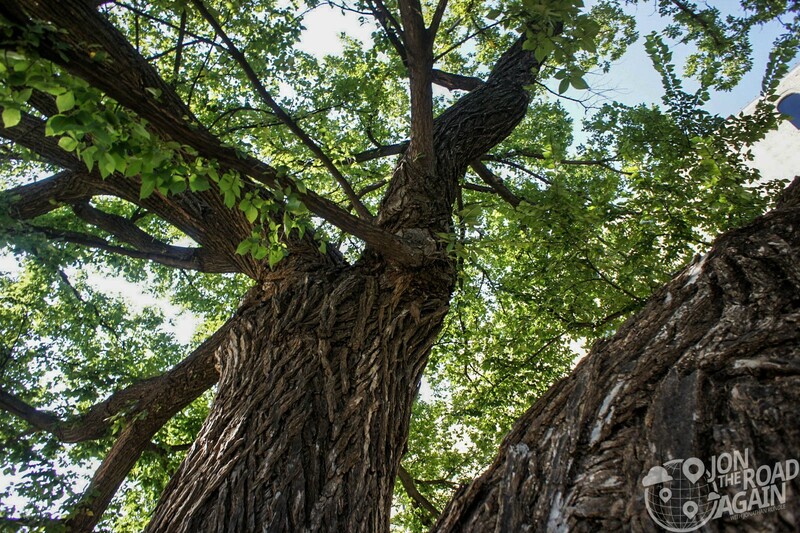 The force of the blast ripped most of the branches from the Survivor Tree, glass and debris were embedded in its trunk and fire from the cars parked beneath it blackened what was left. Most thought the tree could not survive. Almost a year after the bombing, family members, survivors and rescue workers gathered for a memorial ceremony by the tree noticed it was beginning to bloom again. 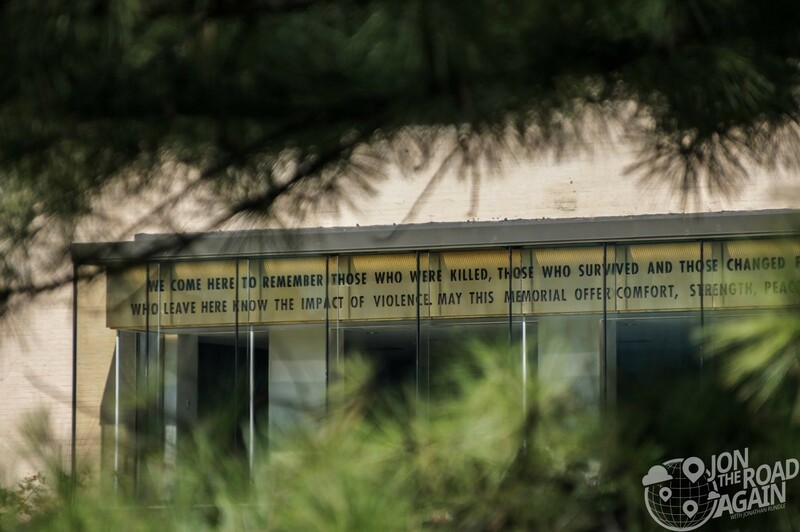 It’s difficult to summarize what a visit here is like – just because it will be a different experience for everyone. For some, it will be different depending on the company or your mood that day. A visit alone might allow for longer periods of reflection, while visiting with a friend might start a conversation on how the world has changed since 1995. Are you the type to learn or mourn? Do you shake your head in helpless recognition of senselessness or do you shake your fist in anger at the people behind the tragedy?